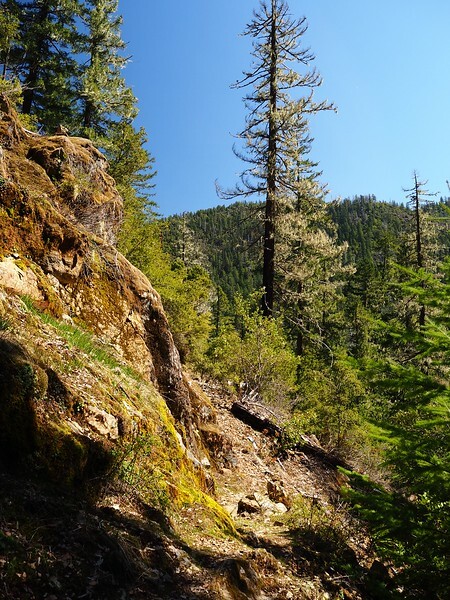 The history of Southern Oregon is defined, in large part, by the search for gold. 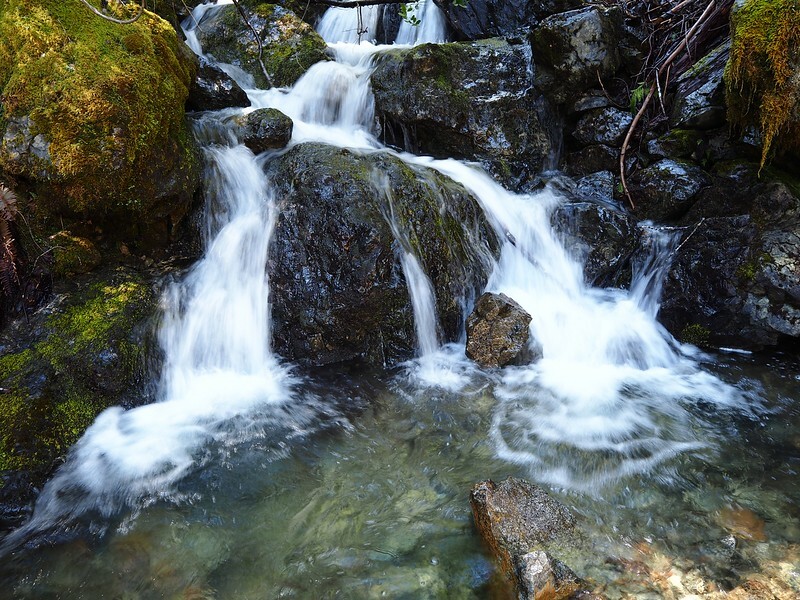 Here, the principal form of mining was hydraulic, where copious amounts of water were used to wash a water-sediment slurry through sluice boxes to capture the gold. All this water was usually conveyed to the mines via ditches, with a berm on one side along which ran a trail for the ditch tender. 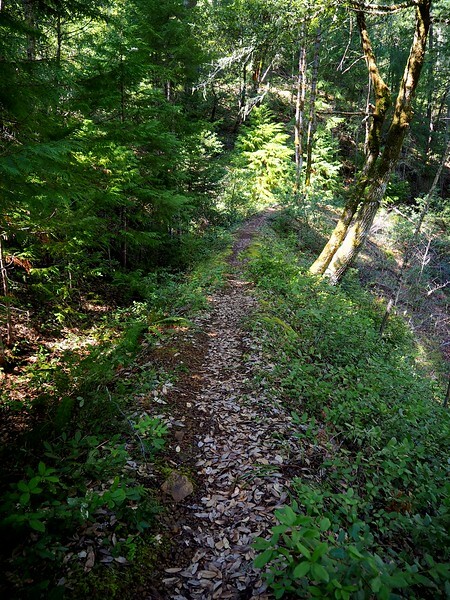 The best known, and most popular of these ditches for hiking and biking, is the Sterling Mine Ditch near Jacksonville, Oregon. 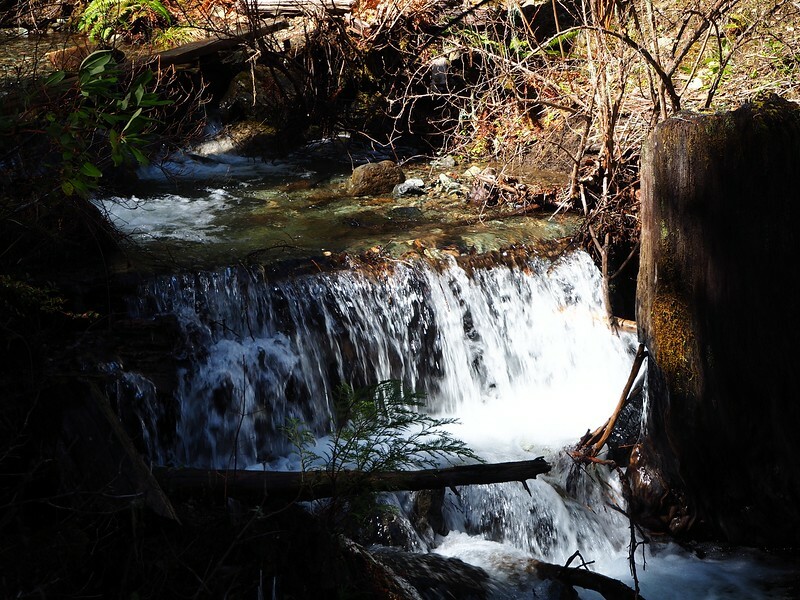 A lesser known one of these ditches, despite being on the National Register of Historic Places, is the Osgood Ditch in Northern California, which was used to convey water to mines in Southern Oregon. 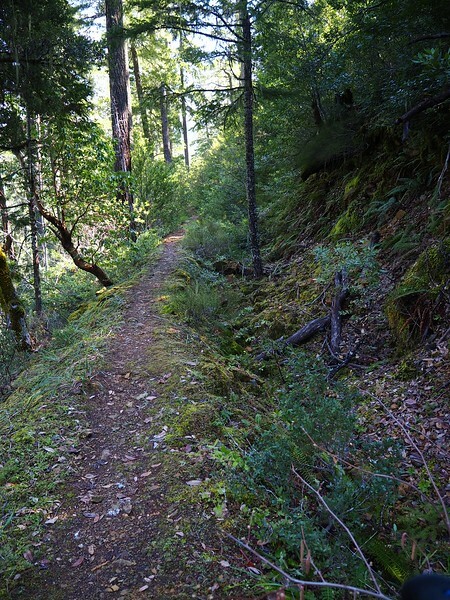 Although it probably contained portions of an earlier ditch, the Osgood was apparently constructed in about 1900 in conjunction with the hydraulic development of the High Gravel and Cameron Mines in Southern Oregon. It remained in operation between 1900 and 1942. 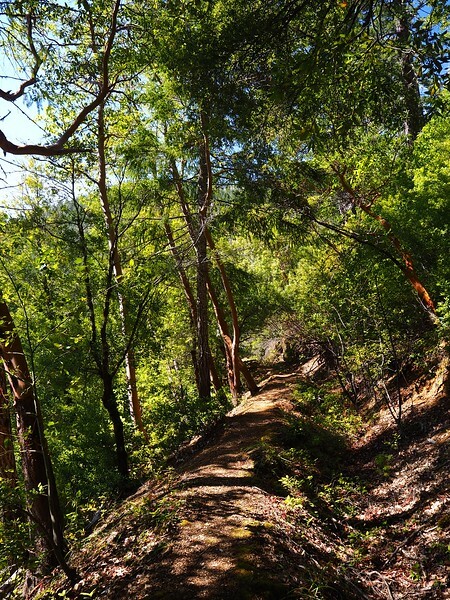 South of the California border, the Osgood used a combination of wooden trestles and flumes to cross streams and deep ravines. Sadly, most of the thirteen trestles and flumes on the ditch burned in the September 1987 Longwood Fire. 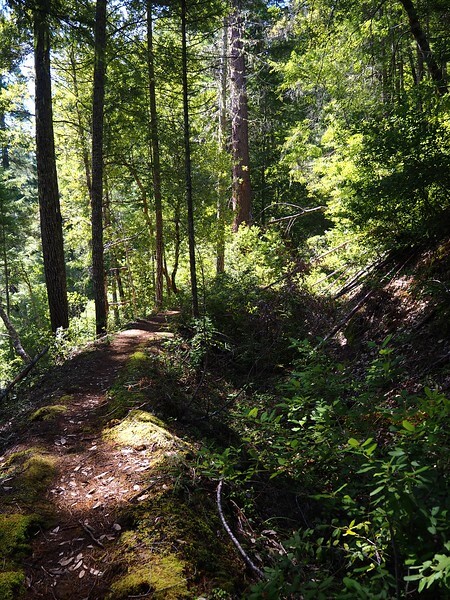 The Osgood is (or was) 10.1 miles long but the Osgood Ditch Trail (USFS #1276) only follows 1.6 miles of the remnant ditch between Forest Road 4904-011 and the East Fork Illinois River Trail (USFS #1274). 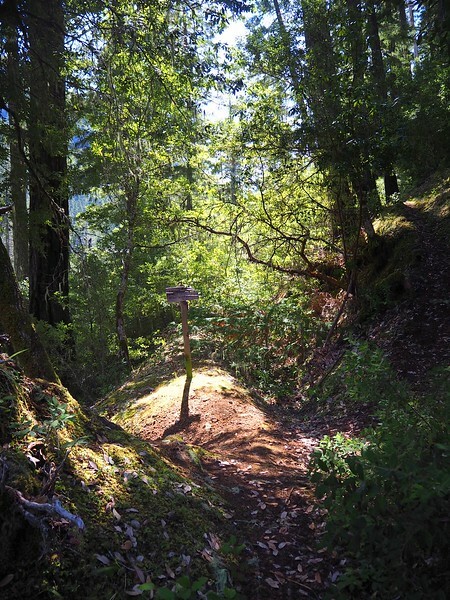 While the ditch itself has suffered from the harsh winters in the very steep and rugged terrain it traverses (it’s in much worse shape than the Sterling Mine Ditch) it is a very pleasant way to cross steep slopes through Port Orford cedars, pine, fir and chinquapin, and an understory of oaks. 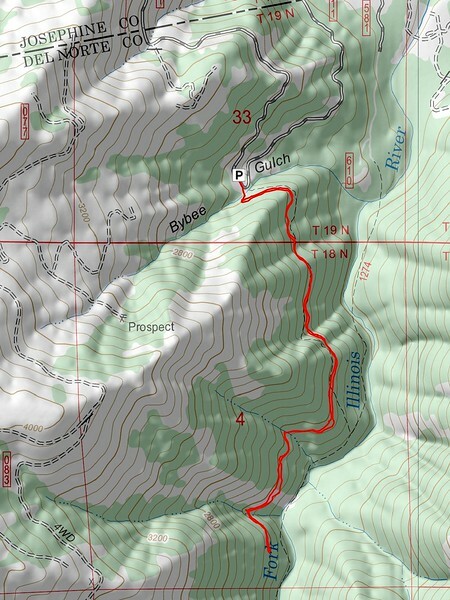 Here are directions to the trailhead from the Highway 199 website: Drive about six and a half miles south of Cave Junction on Highway 199 and turn [left] on [to] Waldo Road (also called Happy Camp Road). This is the beginning of the Jefferson State Scenic Byway. Drive about 5 miles [east] to the stop sign at Takilma Road. Turn right on Takilma Road and drive 3.6 miles to the fork in the road. Go right at the fork and drive about 0.3 miles to the bridge. Immediately after crossing the bridge, go to the left on the dirt road. It is two miles from the bridge to the Osgood trailhead on this road. […] Watch for the Osgood Ditch trailhead on the left [there’s a small sign] as you approach mile 2. The parking area is just past this on the right. 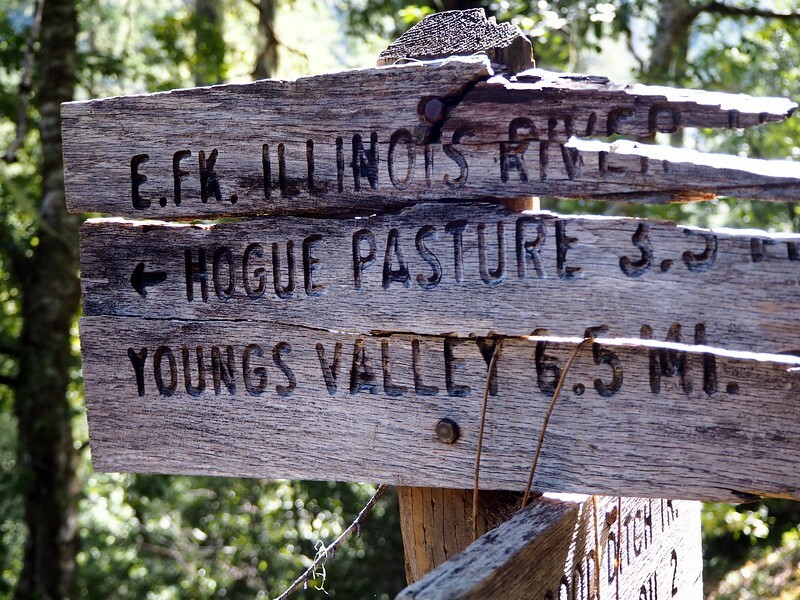 The Forest Service (and others) suggest combining the Osgood and the lower end of the East Fork Illinois River Trail to make a full day hike loop. 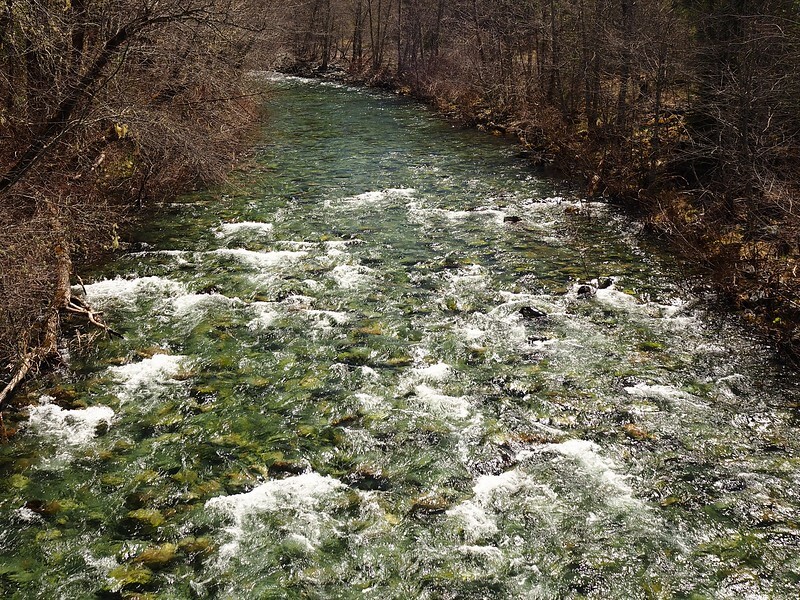 If this seems attractive remember that, even in summer, there are two stream crossings on the lower end of the East Fork Trail that require wading in swift water as deep as 1.5 feet deep – an activity not to be taken lightly. These crossings would be extremely dangerous, if not impossible, during high water.